We're pleased to announce that we're returning to the Fountain Beach Resort Fountain Beach Resort - DB for our Seventh Annual FALDP Conference. Set for September 24, 2016 - All Day Saturday. Thanks go to Lou Sessa for assisting us once again by negotiating the best possible accommodation rates at the Fountain Beach Resort. This year we are offering graduated pricing, hoping to make the run up to our event a bit more organized. Early registration is the same as last year - $75 for the conference fee alone; or $130 for the conference plus membership or renewal fee. This amount, $130, is the same as if a member had taken advantage of early renewal for $55 and the conference fee. On June 30, the conference stand alone price will remain at $75; but the combination conference and membership/ renewal fee will increase to $150. In August and up until the conference the conference stand alone fee will be $95; and the combination conference and membership fee will be $170. We encourage you to register early. Through June, we are inviting conference registrants to bring a guest at no additional charge. Beginning July 1, bringing a guest may end, subject to seating availability; and a clear head count for lunch. Lunch is included in your conference fee. 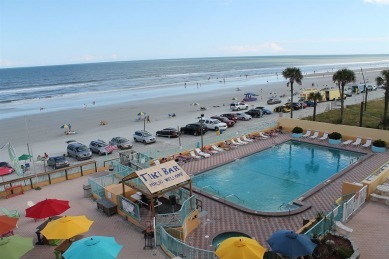 We encourage attendees to bring family or friends along to enjoy the beach and pool during the conference. On June 1, the renewal fee increased to $75 and stays at that rate for most of the year. When you renew your membership listings move up the page. 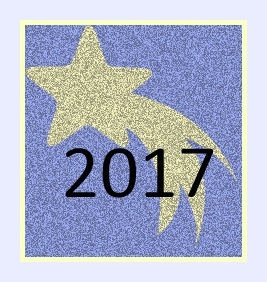 The 2017 Renewal Star is displayed along with your listing. By the end of the July every member will have the 2017 Renewal Star displayed, or the listing will be removed. The last day to renew your membership and avoid being dropped from the membership roster and all site listings is July 31. If you have already renewed your membership, or are a new member with no need to renew, you can pay for the conference by itself. The conference fee is $75. If you are paying here for the conference only, please go to our conference page and also register for the conference. This helps us keep track of how many seats we have available, when to stop allowing attendees to bring a guest for free, and helps us know how much to order for lunch. You can pay for that here. The monthly fee for those who are not members of FALDP - consumers and document preparers alike - is $99 per month unlimited use. There is absolutely no ongoing contract. Access for FALDP members is only $25 per month unlimited use. Whether the user is a consumer and pays $99 and actually only needs one time access; or a non-member document preparer who uses the site multiple times during a month - the benefits are substantial. Any one of these document sets could take hours to prepare manually, but with our Automated Document Portal the forms are completed in minutes. The user can either print the forms immediately or save to their computer. The tools page on that site includes information about using the site; additional stand alone forms; and instructions for the form sets. Two months free access to our automated document site - FALDP-Document Portal - $50 savings with paid and accepted membership - for new member applicants who join in June or July 2016. ANY of our course bundles - with three courses or more includes the $75.00 conference fee. This special is available through July! Our Custom Course Bundles are back! Choose any combination of courses of three or more, and receive a 20% discount. Please note, we have added Certification Numbers for each FALDP Certified Number. Please visit FALDP Certified to find your FALDP Certification Number. 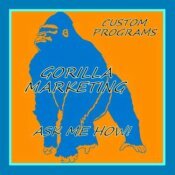 Gorilla Marketing has evolved into Monarch Web Strategies. For the time being, the services are similar to Gorilla Marketing - ad placement for FALDP members throughout the internet for $50 per month. There is no contract and no set up fee. Monarch places your ad on free classified sites to drive traffic to your website and invite your potential customers to contact you directly for services. 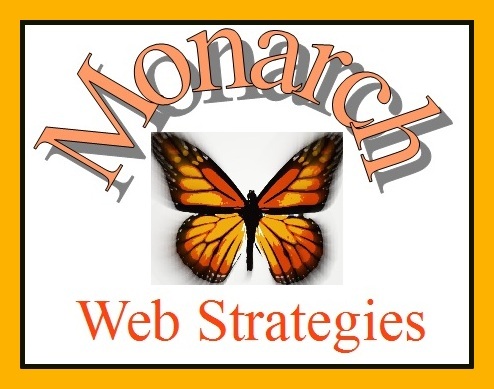 In the near future Monarch Web Strategies will expand their services to also include posting your information on geographic specific sites. This service is important for members who have a bricks and mortar storefront, and those who travel to meet with consumers face to face. There are many myths and misunderstanding surrounding Search Engine Optimization (SEO). One of the main concepts to understand when attempting to create organic traffic, is that your site needs to have some bulk. Search engines may not take your site seriously if your site is too small, consisting of only very basic information, or just not having enough content to even be found. Get writing! I fully believe that "Content is King". The FALDP site uses a hosting company called SBI, information about our hosting company is at the bottom of this newsletter. SBI teaches us that a site needs to have a minimum of twenty content pages to be found. Search engines want to do their jobs as well as possible by referring users to websites and content that is the most relevant to what the user is looking for. So how is relevancy determined? Content: Is determined by the theme that is being given, the text on the page, and the titles and descriptions that are given. Do not mislead your customers. Make sure that your content matches your page title and description. It is a promise. We have all arrived on a site only to discover that the content is not what we searched for. This experience is called a poor user experience. You would not revisit this site, and neither would your customer. Performance: How fast is your site and does it work properly? If you have a lot of bells and whistles on your site such as slide shows, lots of graphics, flash, and over sized images your site may take too long to load and your site visitors will leave. Most site visitors will click off and look elsewhere if a site takes more than two seconds to load. Yep - we're all impatient nowadays. Authority: Does your site have good enough content to link to or do other authoritative sites use your website as a reference or cite the information that’s available? Got links? Your site should have links both to click into and out of your site. 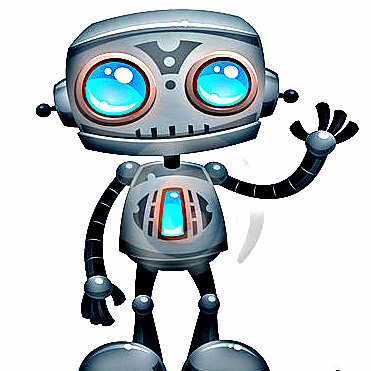 The quality of links going both ways is also important to your site users and the search engines. So please don't link for links sake. User Experience: How does the site look? Is it easy to navigate around? Does it look safe? A site that has too many ads, adsense or affiliate ads, looks spammy. A visitor may click off for fear of catching a virus on your site just by the look of it. Your site should be well organized and pleasing to the eye. Search engines don't really care what a site looks like (your visitors do); but search engines certainly care that your site in general and your pages are well organized and display the content that you promised. Navigation should be intuitive and consist mostly of text links - not all graphics. Make it easy for the user to get around. Too many ads and making it too difficult for people to find content they’re looking for will only increase your bounce rate. Bounce rate is the length of time visitors spend on your site - 80% or higher means that site visitors are clicking off too fast, and adjustments are needed. Mobilize: Make sure your site is mobile friendly. Websites that are not mobile friendly have been penalized by the search engines since April 2015. Your site hosting company may have something as simple as a button to click to make it mobile friendly or there may be steps you'll have to take yourself. Font size needs to be bigger than for desktop, maybe 15-16 point. If you use paypal buttons, they may not appear on mobile devices if you have not optimized them. Add a click to call feature - you'll be glad you did. If you are your own webmaster, we can explain how to do this yourself without paying anyone. We find that approximately 30% of site visitors, visit on a mobile device. We are the Florida State Booster Club Association (FLSBCA), the first, and currently the only, state-based organization of its kind in Florida; a Chartered Member of the National Booster Club Training Council (NBCTC) established to provide Guidance, Education, Training & Support (G.E.T.S.) to any and ALL booster clubs within the state of Florida (non-school, youth leagues, and school-based programs). The lack of booster club compliance and oversight has continued to create an environment of conflict and challenge. The FLSBCA exists to support all booster clubs, providing an avenue for those clubs suffering from issues related to continuous leadership turnover, lack of organizational knowledge and oversight, and increasing financial deficits, all of which directly impact the children involved in the programs booster clubs are trying to support. Our call to action is to work to instill best practices to all booster clubs, club leaders, and administrative oversight through avenues, such as: Insuring compliance, instilling a code of ethics as well as provide comprehensive, hands-on support in order to strengthen the booster club sector. Booster clubs will help shoulder social responsibilities, meet higher standards, enhance the educational experiences gained through extracurricular programs, and recognize the special responsibility we have to children by promoting an environment where all are treated with fairness, respect, & dignity. As a Chartered Member of the National Booster Club Training Council, the governing body for booster clubs throughout the United States, the FLSBCA bridges the gap between good intentions and real-world results. We are the voice representing booster clubs and their interests, as we provide G.E.T.S. through the proven NBCTC model of facilitating: BoosterU workshops, leadership training, compliance and assessment reviews. FLSBCA offers discounted insurance, spirit & apparel, fundraising programs, direct support from trained club advisors, and club building tools necessary to build strong, productive organizations throughout the state of Florida. Our present GOAL is to gain the financial support from individuals, companies, and organizations throughout Florida with the goal of raising a minimum of $125K for purposes of: (1) Providing a minimum of 65 fully-funded membership awards each year for 5 years to low income, inner city, and Title 1 booster clubs within Florida, (2) to underwrite, twice annually, multi-city training workshops throughout Florida, (3) to underwrite at least two high-impacting education and support platforms to bring about better booster club oversite, compliance, and community interaction, benefiting both local businesses, school districts, booster clubs, and the programs they support. YOU can help the FLSBCA via donations, grants, strategic partner positions and any areas of interest on how we can partner your support in helping us bring a newfound level of “Statewide” Guidance, Education, Training & Support to booster clubs throughout Florida. Please contact Reina A. Crowe atreinac@flsbca.org if you would like to donate or partner with us and, also, feel free to share this and our websites: www.flsbca.org andfacebook.com/flsbca.